Since my 40th birthday party is just a few weeks away now, we have been experimenting with party food at home. 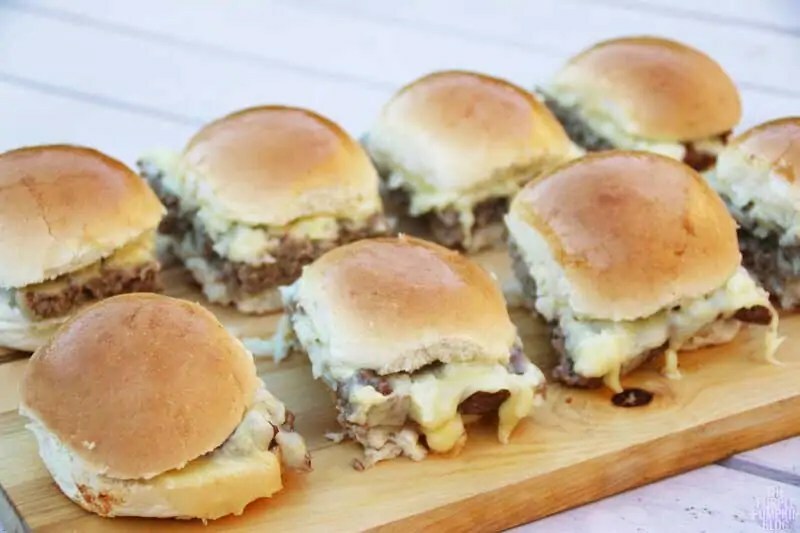 Sliders are essentially mini burgers, and nothing tastes better than homemade! After being inspired by a Tasty video on Facebook (I’m sure many of you reading this have seen those videos!) where they shared ideas for sliders 4 ways, I decided we can easily get some trays of sliders prepped in advance, and pop in the oven as guests arrive. 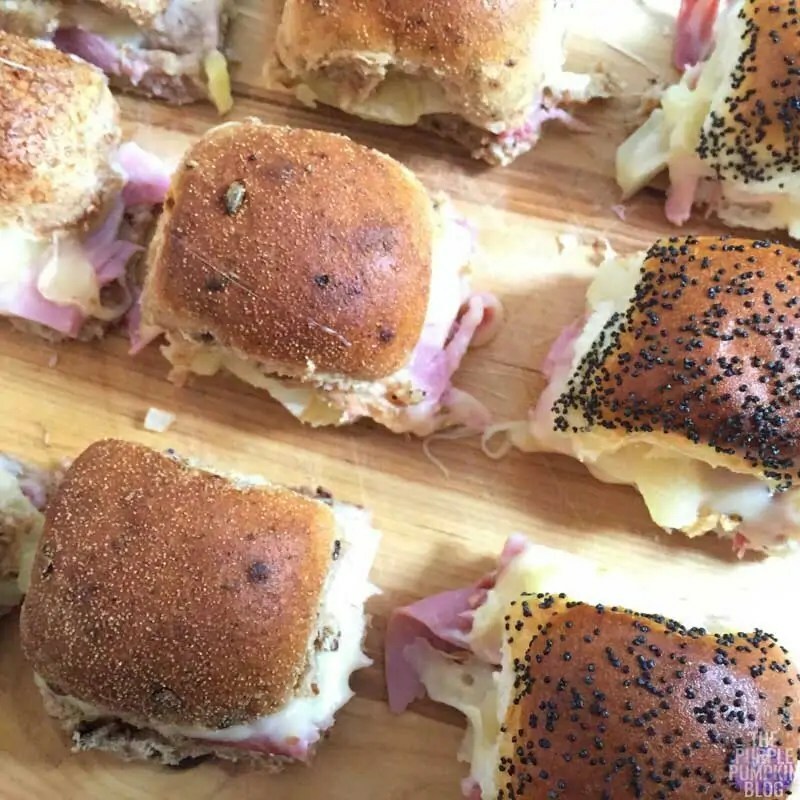 We started off by making Hawaiian Sliders, using ham, cheese, and pineapple. They were delicious! Using a 12 pack of mixed mini bread rolls from Sainsbury’s, it was as easy as slicing open the rolls, layering the ingredients, and baking in the oven for about 15 minutes. Now onto the cheeseburger sliders, which are really quick and easy to make, and you only need one pan to make them in! We used a roasting pan that was able to fit in a pack of 8 mini bread rolls/buns from Sainsbury’s. First you make a giant hamburger in the roasting tin. Mix 5oog of beef mince, with 1 tsp garlic power, and ½ tsp each of salt and pepper. If you make your own burgers regularly, you may have your preferred seasonings, so just go with that. Mix everything together well, and then push out to the edges of the pan as shown below. Place in the oven at around 200C/Gas 6 for 15-20 minutes until the meat is cooked through. Slice the 8 rolls/buns in half – if they come attached together, try to keep them attached, it makes it easier! 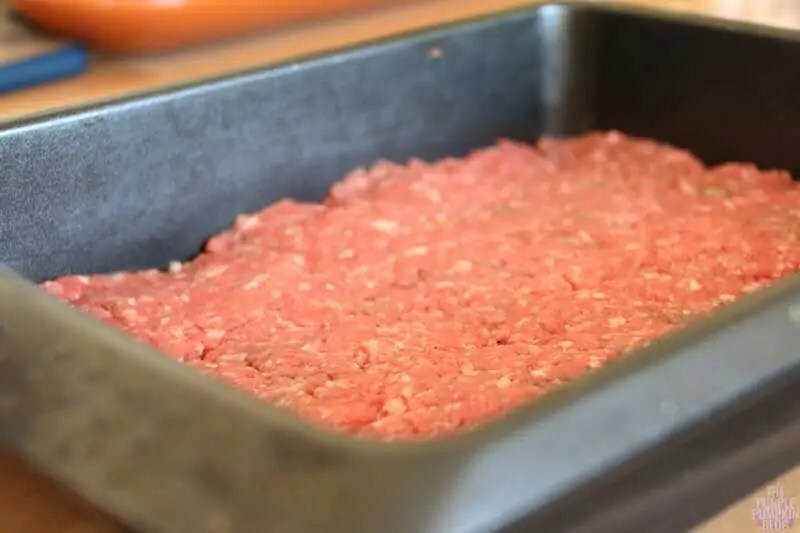 Remove the hamburger from the roasting pan carefully, and put to one side. Give the pan a wipe out with a sheet of paper towel, to remove excess fat, and lay the bottom layer of the buns in the pan. Add the hamburger, followed by some finely diced onion, and cover with sliced cheese. Finish with the tops of the buns. Brush with melted butter, and if you have them to hand, some seasame seeds (we didn’t). Place the cheeseburger sliders back in the oven for 15-20 minutes until the cheese is melted and the tops are golden. Carefully remove from the pan, and cut apart (or cut in the an if you find that easier) and you are done! 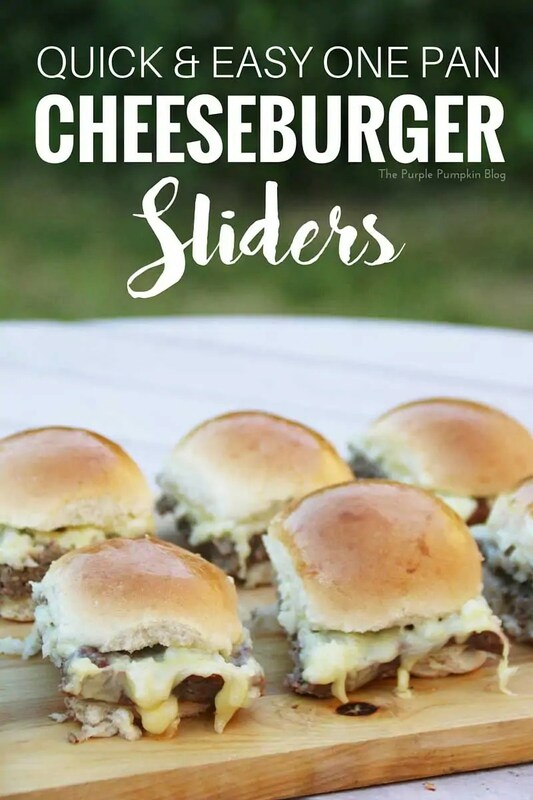 You can serve the sliders as they are (they’re just delish!) or provide a toppings bar with pickles, tomatoes, lettuce, ketchup, mustard, and mayo. Wow! These look great. I wasn’t expecting them to look/ sound so delicious and am a little hungry now!